This year’s federal budget was an extreme disappointment, writes Cassandra Goldie, CEO of the Australian Council of Social Service, ahead of their upcoming post-budget breakfast. Once again, the government has, in its federal budget last week, turned its back on people on the lowest incomes. In the lead-up to the budget, groups across the community sector banded together in an open letter, urging the government to invest in essential services and increase Newstart, instead of handing out election-sweetener tax cuts. In response, the government has announced a further $158 billion in tax cuts, on top of the $140 billion already legislated. Together, this will deliver the largest tax cuts since the GST in 2000. The tax cuts largely benefit the very wealthy and offer no relief to one-third of the community, who do not have enough income to pay tax. What’s more, the opposition has said it will match the tax cuts. Not only do the tax cuts disproportionately benefit high income earners, they put at risk funding for the services that people on low and middle incomes rely on, such as health, education, aged care, child care and disability services. The community sector’s repeated calls for the rate of Newstart, Youth Allowance and related payments to be raised was also ignored, making this the 25th budget in a row to fail to deliver a real increase. I was certainly not alone in expressing my extreme disappointment in this repeated failure to support people on some of the lowest incomes in our community. In a number of panel-style media interviews on budget night, I was joined by Jennifer Westacott, CEO of the Business Council of Australia, in expressing dismay that an increase to Newstart had again been left out of the budget. I joined colleagues across the community sector the day after the budget for a joint press conference from Parliament House, where we together called for an increase to Newstart and commented on other aspects of the budget. Dr Jackie Huggins, co-chair of National Congress, spoke powerfully about the inadequacy of the $5 million over four years allocated to respond to the escalating crisis of suicide among young Aboriginal and Torres Strait Islander people. 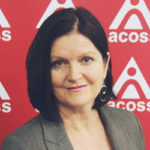 Matthew Bowden, co-CEO of People with Disability Australia, welcomed funding for the Royal Commission into Violence, Abuse, Neglect and Exploitation of People with Disability, and Leah van Poppel of the Australian Federation of Disability Organisations called for NDIS funding to be safeguarded. The CEO of the Federation of Ethnic Communities’ Councils of Australia, Mohammad Al-Khafaji, also joined the press conference, despite being locked out of the budget “lock-up”, and spoke out against funding cuts to refugee services. I’m looking forward to joining with more colleagues across the community sector on 15 April, at our upcoming post-budget breakfast, to further interrogate what the budget means for the community sector. The 2019 ACOSS Federal Budget Breakfast is a key opportunity for representatives from civil society to discuss, analyse and debate the potential impacts of the 2019 federal budget and federal budget policy more broadly. The Hon Chris Bowen, Shadow Treasurer. The event will close with a dynamic panel discussion featuring: Melinda Cilento, CEDA; Jo Schofield, Uniting Voice; and Cassandra Goldie, ACOSS. The panel, also facilitated by Irvine, will discuss both the implications of the federal budget and the upcoming election before opening conversation to the floor. The 2019 ACOSS Federal Budget Breakfast will be held on Monday 15 April, from 8:00am to 10:30am, at The Aerial UTS Function Centre, Building 10, Level 7, 235 Jones St, Ultimo NSW.